stop_the_boats, originally uploaded by Belinda Allen Portfolio. A memento of the Australian federal election, 2010. 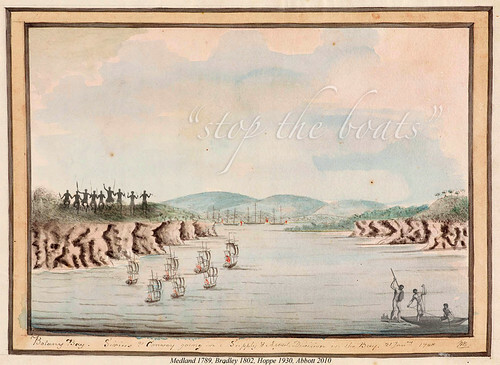 Painting by Lt. William Bradley: Botany Bay. Sirius & Convoy going in, Supply & Agents Division in the Bay. 21 January 1788 (From journal compiled 1802). Quotation from the election campaign of Tony Abbott.